As many of you guys are aware I have been taking CBD Oil for my migraines, panic attacks, anxiety, and body ache. 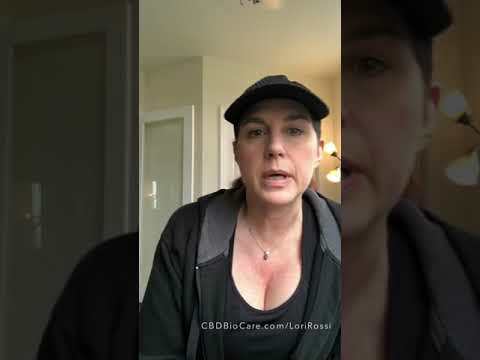 CBD BioCare was one of the first CBD Brand that I used. Now I must clarify, It is still one of my favorite CBD brands till date. The reason why I switch to new brands every now and then is let you guys know what brands to try and which ones not to. I want everyone to experience what it feels like when you don’t have that panic attack in the middle of the night. or the chronic pain in your back all day long. I want you to know how it feels when you don’t feel depressed all the time. Anyways enough about it me, let’s find out how effective their CBD Oil has been for me. CBD Bio Skin Care products are only manufactured in a PETA registered facility. They give 10% of their profits to Charity. I tried the 1500 mg bottle of their Hemp Oil. The great thing about their Hemp Oil is that it has very little after taste. I usually consume the High CBD content variants, as they work best for me. One issue I regularly face is the bad aftertaste that the concentrated versions have. Therefore CBD Bio Care’s Hemp Oil was a pleasant surprise. I had stopped using any other CBD Oil variants at least 2 weeks before trying their Hemp Oil so that I can give you a genuine review with the exact timeline. I started with 2 drops per day because I have been using Hemp Oils previously and I knew how much my body needed. It took a week for the Oil to work its magic. It kicked in on the morning of the 7th day and boy I was up and running by the evening. So yeah, this one will take a little while to show its effects, but when it does it will relieve you completely. I suffer from severe joint and neck pain. The balm has been really effective for both. On day one the pain was significantly low and by the second day, all my pain was gone. This is why I prefer CBD Balms for my body pains, because of it so effective and quick. If you suffer from any physical pain, go for their Pain Balm, you will be relieved quickly. However, if you get panic attacks or have anxiety then the Pain Balm won’t be effective. My experience with CBD motivated me to try their Apple Stem Cell Rejuvenation Cream. I had researched whether CBD works on anti-aging or skin rejuvenation and I found out that CBD is effective for both the problems. If you are like me then you must be using some sort of anti-aging cream. I would recommend you to switch to the CBD Apple Stem Cell Rejuvenation cream as it has been working for me. It gives me a glow which I feel stays even after I have washed it off. Also, my skin feels really smooth even after I wash it off in the evening. I feel certain confidence after wearing their cream now. Try it! I am confident you would like it. I recently tried CBD Bio Care’s Under Eye Cream, and as promised I have added it’s review. Now as with most of my friends, I have been using some or other under eye cream, so as soon as I ran out of my last tube I bought their under eye cream. A great accompaniment to other skincare products that focus on the rest of the face and neck area. So I started with the under eye cream after a gap of one week. While I take 8 hours of sleep, whenever I sleep late, I get light-dark circles. So I applied their under eye cream, and the puffiness and darkness was almost gone. However it wasn’t like I had stopped getting dark circles after being up late, but wearing this cream definitely created an impact. They have a full product range of CBD infused health and wellness product. I will be updating the article as I try their different products. CBD can have a range of different side effects like Diarrhea, Dry Mouth, Disturbed Sleep etc. However, it is important have note that the side effects only show up if you overdose on CBD. And as overdosing only occurs for newbies, there are no chances of any side effects once you get your dosage right. Coming to CBD BioCare, I have never had any side effects. However, after asking around, I did find some people mentioning that they got a dry mouth frequently when they started with CBD BioCare. CBD suits everyone at different dosages. Everyone in my family has different dosages. Thus you will have to find your sweet spot. The best way to go about it would start small and increase your dosage by 10 mg every 5-6 days. I take CBD twice a day; once in the morning and once in the evening. Both the dosages are of 30 mg each. CBD Biocare is a well known CBD brand. They are a 100% US based company and their products are manufactured in the country as well. They have 3rd party testings done and updated on their website. In short, their brand and products are reliable and effective.